Having the right tool for the job is critical in any profession that is why Autoxloo provides its dealers with cutting edge inventory marketing tools that are proven to drive more traffic, increase consumer participation and improve conversion ratios more than any other service today. All your inventory is right here, there is no need to use some additional tools. With just few mouse clicks you will be able to watch the inline editing and enter or change information about a car. Everything is convenient and intuitive, you can easily feature vehicles tagging. 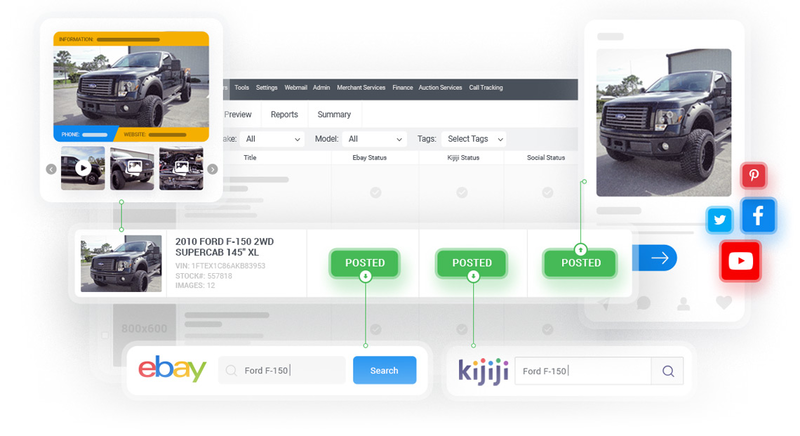 Moreover, the Inventory not only shows how many vehicles are in your DMS , but how many days cars are in stock, how many times you or your representatives viewed this particular vehicle and how many leads you have. And it’s not over yet, you can check history of your cars and all statistic, so you can find all answers on one page, what saves your time greatly. Engage your leads through relevant content and increase your ROI. Manage your leads with Autoxloo’s lead management system. Embrace this!